"This is what we call a miracle," the sheriff's office posted. An infant boy was found alive after being buried in the mountains outside Missoula. MISSOULA COUNTY, Mont. 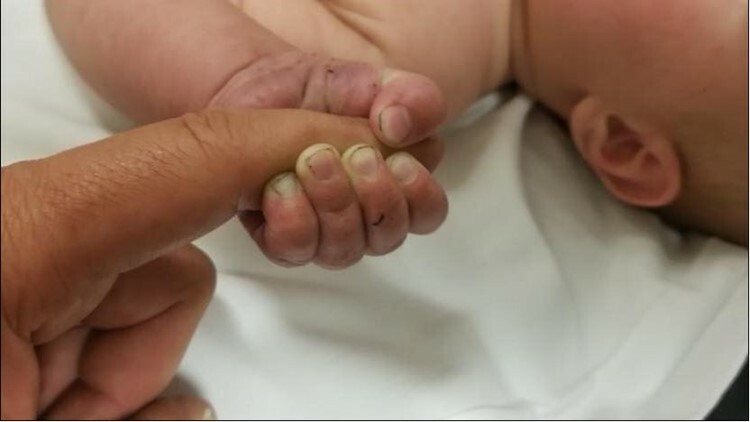 -- An infant boy who had been buried alive in the woods was rescued Sunday morning after surviving more than nine hours in the cold. According to the Missoula County Sheriff's Office, the desperate search for the baby unfolded after deputies received reports at about 8 p.m. Saturday about a man acting strangely near Lolo Hot Springs, about 35 miles outside of Missoula, Montana. As law enforcement was still en route to the hot springs, more people at the hot springs called dispatchers, telling them that the man was threatening people, saying he had a gun and reaching into his pockets. 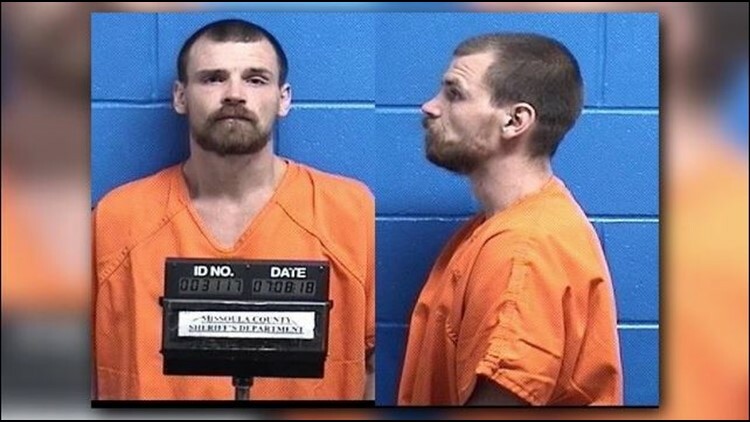 Deputies arrived to learn the suspect - identified as 32-year-old Francis Carlton Crowley - was already gone, and that a 5-month-old boy left in his care had not been seen in hours. The sheriff's office launched a search for Crowley, before a 911 caller told them he had come back to the hot springs. Deputies returned and took Crowley into custody, but found no sign of the baby. "When trying to question Crowley, he appeared to be under the influence of drugs and was not making sense to officers," the sheriff's office wrote in a Facebook post. According to investigators, that's when Crowley told them the baby was "possibly buried" somewhere in the mountains. Deputies sprang into action, calling in Missoula County Search and Rescue, the United States Forest Service, Bureau of Land Management and Montana Highway Patrol to help search. After combing the mountains for more than six hours on foot, one deputy "heard the faint cry of a baby," according to the sheriff's office. Searchers followed the sound and found the infant alive, buried facedown beneath a pile of sticks and debris. The little boy was wearing only a wet and soiled onesie, deputies say, and had been alone in the cold for at least nine hours. The temperature at the time was only about 46 degrees, according to officials. The baby was taken to a Montana hospital for treatment and was listed in good condition Sunday. Crowley was arrested and booked into the Missoula County Detention Facility on a felony charge of criminal endangerment. Additional charges are pending, according to the sheriff's office. "For all of us at the sheriff's office, this is what we call a miracle," the sheriff's office posted. "For the officers who were present for this event, it's especially hard knowing what this small baby endured in the last 24 hours. Sheriff McDermott would like to thank those who assisted in the search and those who called 911, helping first responders bring this baby to safety."